Title and Teaser dropped at Celebration. For myself, I'm not thrilled with the title, but I'm enthusiastic about what I'm seeing. 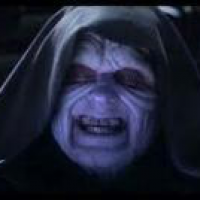 Palpatine back? Hell yeah, I’m in. Very cool trailer especially with the return of 2 characters from the original trilogy. I'm not exactly sure what the title means but maybe Abrams can undo some of the very polarizing ideas from episode 8 that turned me off. It is odd to hear Luke tell Rey "We passed on all we know" with great gravitas when in the last film he behaved and spoke as if there wasn't much that the Jedi had to pass on. Even Yoda wasn't bothered by the prospect of all of the Jedi teachings going up in smoke.